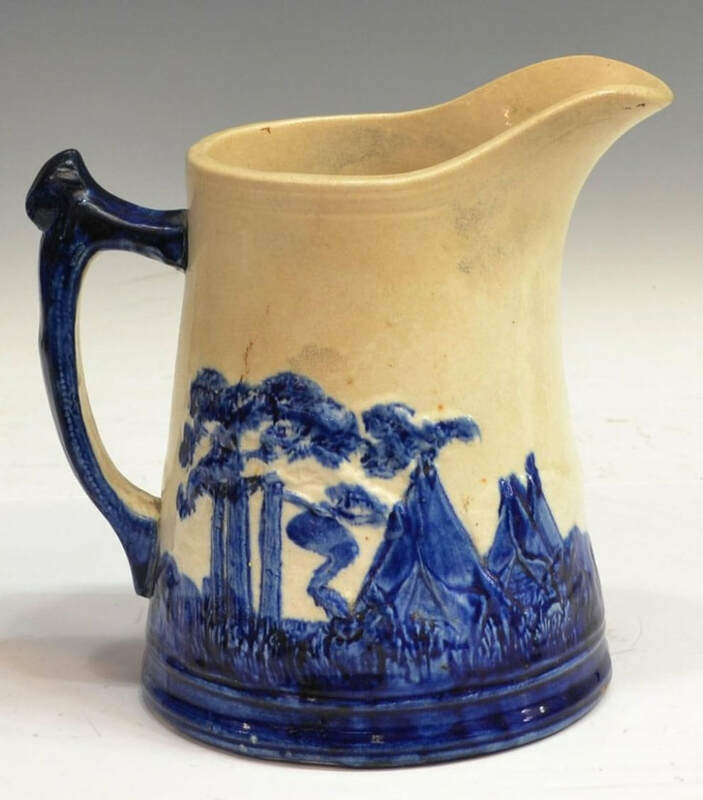 Prairie Treasures #1018 began in 1973 at the hands of Jane Johnson, who is a long-time resident of North Platte. Jane fostered her love of antiques by assembling a group of friends with like interests and meeting each month as the Friday Morning Antiques Study Group. 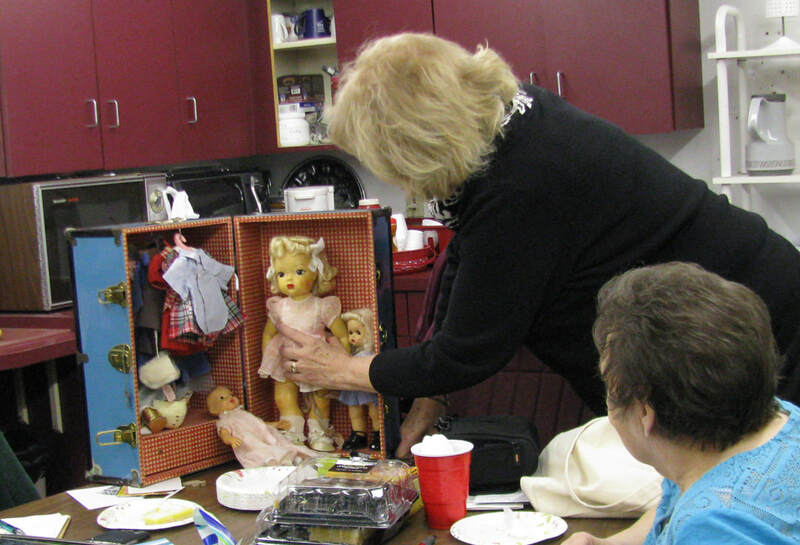 Their meetings consisted of breakfast at homes of members, a show and tell by the hostess about her favorite antique item or collection, and lots of discussion. ​During our June, 2017, meeting we learned about the importance of the Bible to our pioneer homesteaders. Women designed quilt blocks based on Bible stories. Using beautiful printed fabrics, they created fantastic quilts. Following our meeting, we drove to Cozad to view the Dawson County Barn Quilts. 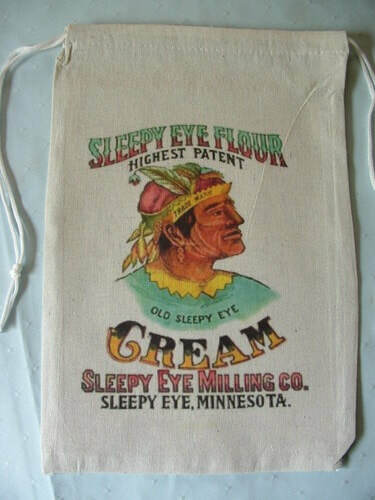 Many very old Bible quilt block patterns are still in use today. In November, our meeting program was "Hobo Signs & Symbols". We learned that the Hobos were not Bums, because Hobos wanted to work to support themselves and their families, whereas Bums would not work at all. Hobos developed a language of symbols and left signs for other Hobos to help them find the things they needed for survival. Many men became Hobos at the end of the Civil War because they had no way to get home when they were dismissed from service. The railroad systems provided a free way to travel so they could search for employment. ​Sandy, our State President, honored us with a visit at our February, 2018 chapter meeting. She brought her Terry Lee doll collection and explained the difference between the antique version and today's version. Although the facial expression and clothing are very similar on both versions, the skin tone makes knowing old from new easy. We all had so much fun visiting with Sandy. Thank you for coming to our meeting, Sandy. 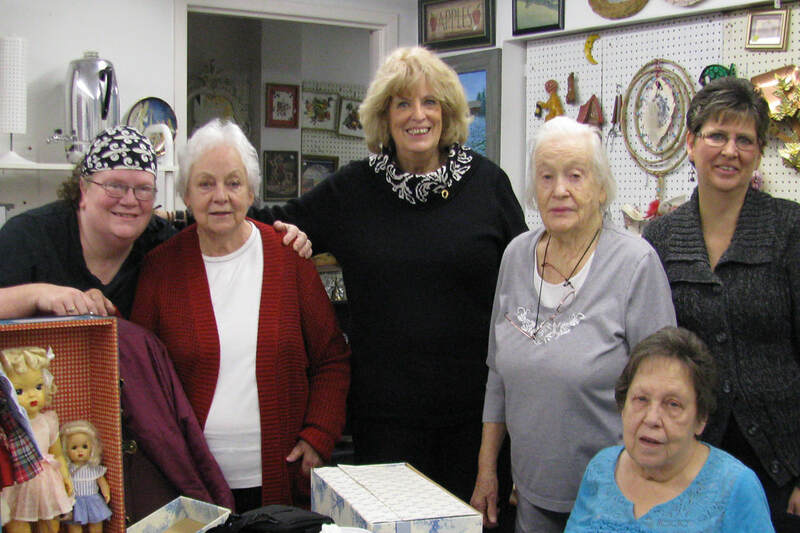 Members of Prairie Treasures Chapter #1018 were treated to an excellent program by Sharon about Halloween, a world-wide annual celebration. Although celebrations vary by country, they are popular everywhere and have their roots in Celtic traditions nearly 1500 years ago. Irish immigrants brought Halloween to America in the 1800s and it has since evolved from a day to honor dead ancestors to a happy day of costume parties and sweet treats enjoyed by children as well as adults. 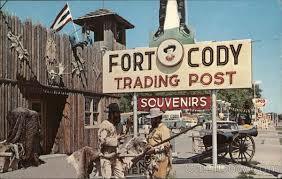 The first picture in the top row of the Header is of The Fort Cody Trading Post. From the outside, it looks like a frontier log stockade with authentically dressed mannequins with toy rifles standing guard. Inside it's a combination gift shop and museum, with authentic Buffalo Bill and Wild West memorabilia, plus a hand carved miniature mechanized Wild West Show made of 20,000 parts. A taxidermy two-headed calf and frontier cannons are among the other curiosities to be seen. 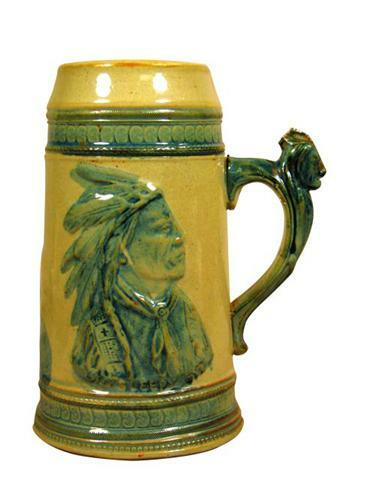 Find jewelry, moccasins, and coonskin caps among many other gifts to take home, too. The second picture in the top row of the Header is of the world's largest reclassification rail yard. 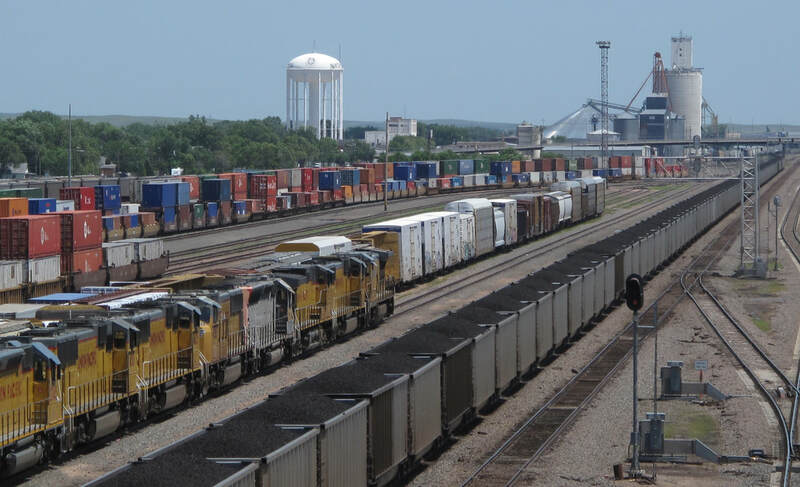 Thousands of rail cars travel through here every day to be reclassified and rerouted on their way. North Platte's history is tied to the Union Pacific Railroad from its beginning. The rail yard once contained a "round house" repair facility that also provided shelter to citizens during Indian attacks. Many new citizens came here on trains and to this day, the Union Pacific Railroad is the largest employer here. 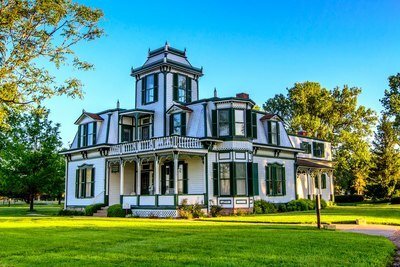 The third picture in the top row of the Header is of Buffalo Bill's 1880s Victorian house located in Buffalo Bill Ranch State Historical Park. The property also has a horse barn and outbuildings of Cody's famous Scout's Rest Ranch. The site features Wild West Show memorabilia, period household furnishings, picnic areas and walking trails. On April 11, 1944, the Paramount Theater in North Platte hosted the world premier of the technicolor movie "Buffalo Bill." The amazing story of the Indian fighter and scout who made North Platte his home for many years was brought to the screen with Joel McCrea taking the part of Buffalo Bill. Featured actors were Maureen O'Hara, Linda Darnell, Thomas Mitchell, Edgar Buchanan, Anthony Quinn and many others. The first picture in the bottom row of the Header shows a bucking bronc rider at the Buffalo Bill Rodeo during Nebraskaland Days. This rodeo stems from Buffalo Bill's activities in our area and draws cowboys and cowgirls from all over the United States and Canada. 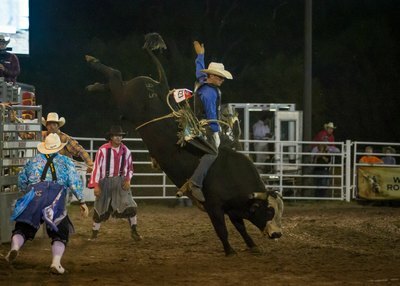 Complete with a Miss Rodeo America competition, the rodeo is an exciting and very popular attraction during the month of June. 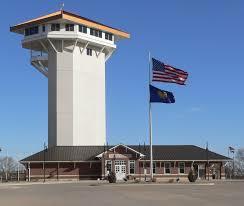 The second picture in the bottom row of the Header is of the Golden Spike Tower and Visitor Center west of North Platte. It provides a birds-eye view of Union Pacific's massive Bailey Yard. In 1995, the Guinness Book of World Records recognized the Bailey Yard as the world's largest railroad classification yard. It has since grown by 25 percent. It stretches eight miles and covers nearly 3000 acres. 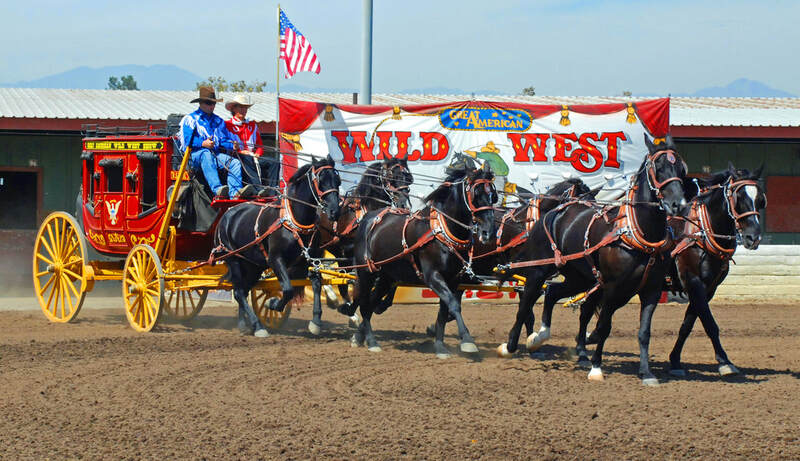 The third picture in the bottom row shows a Wild West stagecoach and horses coming to the Buffalo Bill Rodeo. Apart from being transportation for old west citizens, stagecoaches also transported mail, supplies, and many other things. 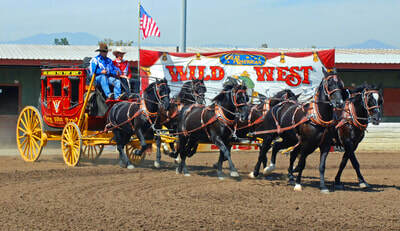 They are now popularly showcased items in rodeos and parades.